Clashes erupted Tuesday afternoon in Bethlehem after Israeli Occupation Forces (IOF) stormed Doha town, west of the city. No injuries were reported. 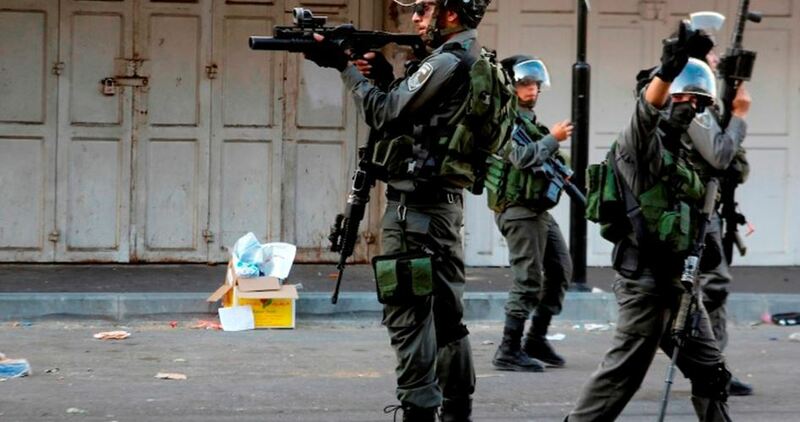 The PIC reporter said that the IOF soldiers, in several patrols, stormed the town and broke into Palestinians’ homes. Summonses were also handed to families of a number of youths including two ex-detainees: Firas Ezzeyyeh and Anas Malash. 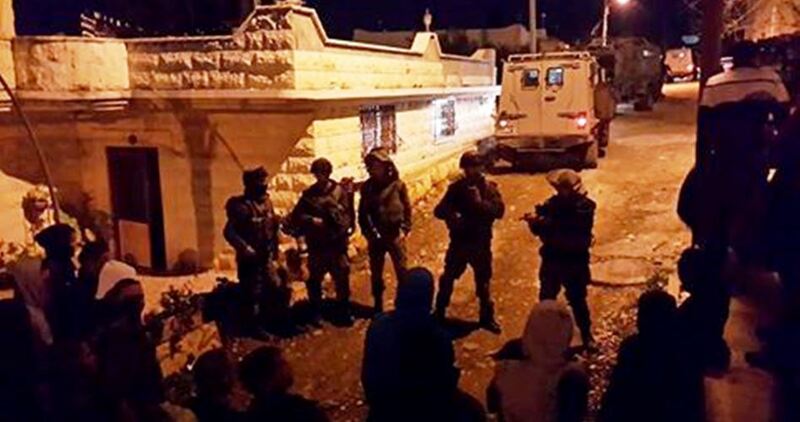 In a similar context, the IOF troops in the early morning hours on Tuesday stormed al-Khader town in southern Bethlehem and broke into residents’ homes. The soldiers arrested a young man, Shaher Issa, 22, along with a 19-year-old girl, Saja Issa whose sister, Suzan, was summoned for questioning. The Israeli Occupation Forces (IOF) stormed Tuesday morning a governmental building in the Old City south of al-Khalil. The headquarters of the PA Committee against the Wall and Settlements was violently stormed by Israeli forces, head of the committee Younis Arar affirmed. Speaking to Quds Press, Arar said the Israeli forces investigated during the raid the committee staff and ordered them to remove anti-Israel posters placed in their offices. Arar strongly condemned the Israeli attack against the Palestinian governmental committee, considering it a violation of international treaties and norms. The PA Committee against the Wall and Settlements works on documenting Israeli forces and settlers’ violations against Palestinians and their properties in the occupied West Bank. Since its opening in 2015, Israeli forces broke into the committee headquarters five times including twice within the past two months. Israeli navy ships attacked, on Tuesday morning, several Palestinian fishing boats, and opened fire on them, before abducting five fishers from the same family, and confiscated one of their boats. 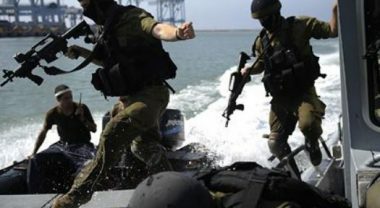 The navy attacked the fishing boats less than four nautical miles from the shore near Gaza city, chased them while firing live rounds and spraying them with high-pressure water cannons. The navy then abducted five fishers identified as Mohammad Omar Bakr, Abdullah Sabri Bakr, Mahmoud Sabri Bakr, Thabet Mohammad Bakr and Omar Mohammad Bakr; all in their twenties. The fishers were cuffed and blindfolded before the soldiers took them, and one of their boats, to Ashdod port. The attack is part of daily violations against the fishers and their boats in the besieged and improvised Gaza Strip, and are frequently accompanied by limited invasions by the soldiers into Palestinian farmlands close to the border fence. Israeli soldiers invaded, on Tuesday at dawn, the town of al-‘Eesawiyya, in occupied Jerusalem, violently searched and ransacked homes, and abducted five Palestinians, including three siblings. The soldiers conducted several invasions into the town, overnight and during dawn hours, Tuesday, and clashed with dozens of youngsters, who hurled stones and empty bottles on them, while the soldiers fired rubber-coated steel bullets and gas bombs. The soldiers also removed a tent that was installed by the locals who were preparing to celebrate the release of detainee Mohammad Zeidan, who is scheduled to be freed today, after spending fifteen years in Israeli prisons. 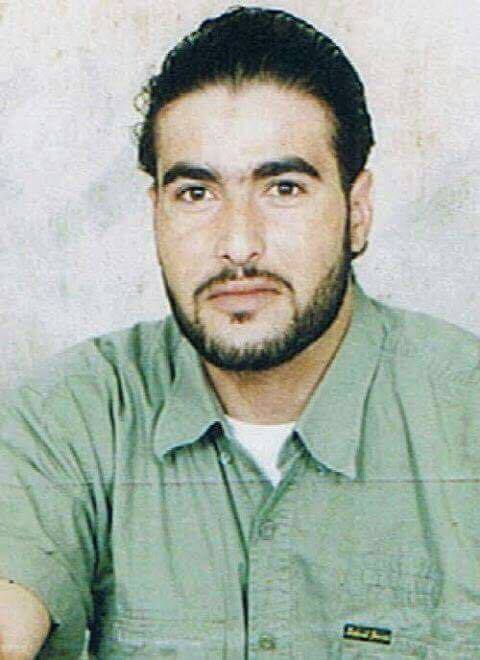 The soldiers wanted to stop the celebrations, and removed Palestinian flags, posters and pictures of the detainee, and all signs welcoming him back home, in addition to invading his father’s home, and threatening to abduct him should he and the locals celebrate his son’s release. During the invasion, the soldiers abducted Mohammad Kayed Mahmoud, Shahin Oleyyan, and three siblings, identified as Samer, Mohannad and Sami Anwar Obeid; they were moved to the al-Maskobiyya detention and interrogation center, in west Jerusalem. A number of Palestinians were kidnapped by the Israeli occupation forces (IOF) at daybreak Tuesday in assaults launched across West Bank provinces. Eye-witnesses said Israeli military patrols rolled into Nablus’s western town of Tel, in the northern West Bank, and blew up a suspicious object. The IOF further wreaked havoc on civilian homes and attacked the Palestinian protesters with live ammunition and teargas canisters, sparking clashes in the area. 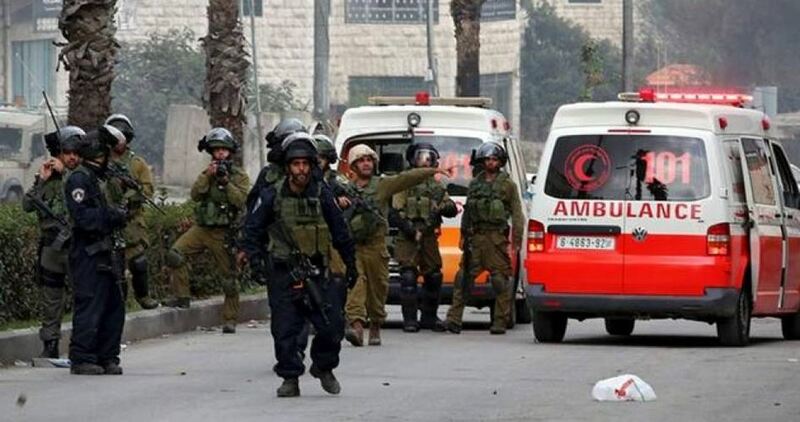 Palestinian citizen Kayed al-Hindi was kidnapped by the occupation soldiers in the assault. Overnight, the IOF stormed the area and kidnapped two Palestinian youths, including an ex-prisoner. Both arrestees were released hours later, following intensive questioning. Another Palestinian youth—Adham al-Sha’er—was kidnapped by the Israeli forces from his family home in Berka town, to the north of Nablus. The IOF also stormed the northern West Bank province of Qalqilya and rummaged into Palestinian civilian homes. The Israeli troops reportedly showered the area with randomly-discharged barrages of teargas canisters and subjected civilians to exhaustive interrogation. At the same time, the Israeli military forces broke into Tulkarem’s northern town of Zeita, in the northern West Bank, and cracked down on Palestinian civilians. Reporting from the scene, a PIC news correspondent said the IOF stormed the city in several military jeeps and sealed off the main access road to Zeita. Several Palestinians choked on teargas canisters, which were randomly unleashed by the IOF across residential alleys. 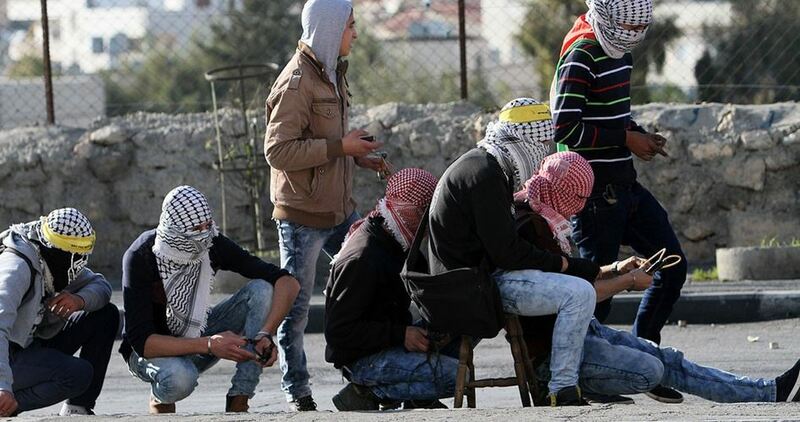 The Palestinian anti-occupation protesters reacted by hurling stones at the Israeli patrols. A few hours earlier, heavily-armed occupation troops stormed Jenin’s western town of Kafr Koud, in the northern West Bank, and summoned the Palestinian Citizen Mahmoud Walid Ateiq to questioning, after they broke into his family home. Israeli army squads have, meanwhile, been spotted across the Nazareth Street and on the Jenin-Haifa thoroughfare. Israeli soldiers have abducted, overnight and at dawn Monday, at least twenty-two Palestinians, from various areas, in the occupied West Bank, and violently searched dozens of homes, the Palestinian Prisoners’ Society (PPS) has reported. 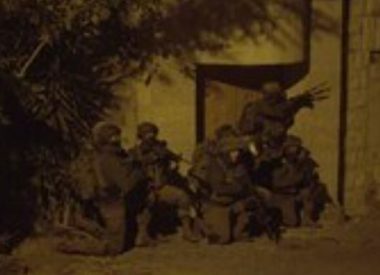 The Hebron office of the PPS, in the southern part of the West Bank, said the soldiers invaded and searched homes in Surif and Beit Awwa towns, and abducted two Palestinians, while a third was taken prisoner at a roadblock in the city. It stated that the soldiers abducted Ibrahim Mohammad Abu Fara, from Surif town, and Mahmoud Issa Abu Rezeq, from Beit Awwa. The soldiers also abducted Morad ‘Ashour, after stopping him at a military roadblock, in Abu Sneina neighborhood, in the center of Hebron city. 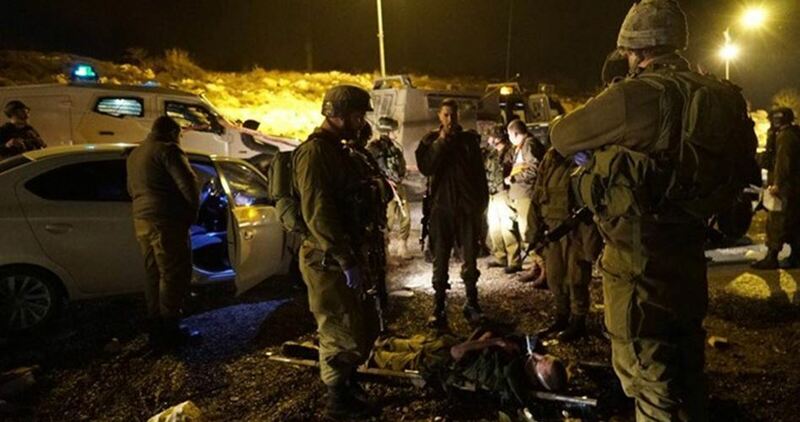 In addition, the soldiers invaded Rommana village, west of the northern West Bank city of Jenin, and abducted a former political prisoner, identified as Mahdi Mirshid Bushnaq, 42. The soldiers also assaulted a Palestinian journalist, identified as Khaled Mohammad Bushnaq, 39, causing many cuts and bruises, and forced him to remove his clothes in the cold, under the allegation of searching him. In addition, a large military force invaded Barta’a town, isolated behind the Annexation Wall, southwest of Jenin, and the Industrial Zone, and violently search many stores and buildings, after breaking into them. Media sources in Jenin said the violent invasions, and searches, were carried out by the soldiers while a military helicopter flew overhead. The soldiers also invaded Jenin refugee camp, before storming and searching homes, and abducted a young man, identified as Saleh Abu Zeina. 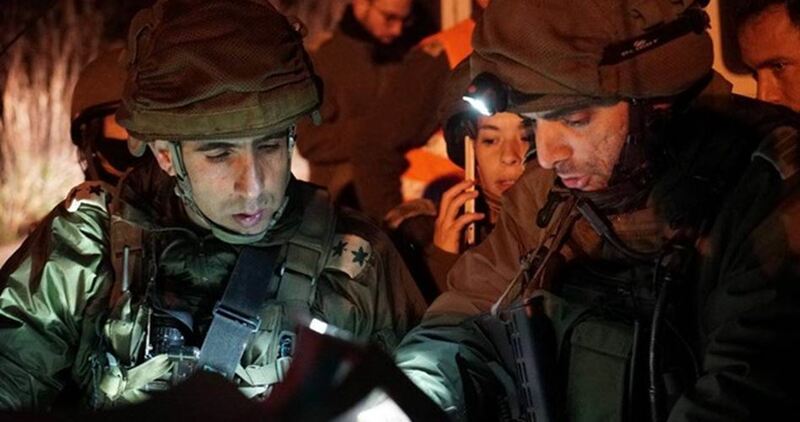 Also at dawn, the soldiers invaded Tal village, south of the northern West Bank city of Nablus, searched homes and abducted two young Palestinian men, identified as Mahmoud Saqer ‘Aseeda, 29, and Tawfiq al-Hindi, 27. It is worth mentioning that Aseeda is a former political prisoner, who was frequently abducted and imprisoned by Israel, and was only released from a detention center less than three months ago. In a statement, the Israeli army said its soldiers have arrested twenty-two Palestinians in the West Bank districts of Nablus, Jenin, Qalqilia, Ramallah and Al-Biereh, Jerusalem and Hebron. Furthermore, Israeli military bulldozers destroyed a drinking water pipeline, providing the villages of ‘Atouf and al-Hadeediyya, in the West Bank’s northern plains, with the needed water. Mo’taz Bisharat, a Palestinian official at the governate office in Tubas and the northern Plains, said the Israeli attack left more than 47 families without water. He added that this was the second attack of its kind, carried out by the soldiers in the area, since the beginning of this year. In related news, Israeli navy ships opened fire on Palestinian fishing boats Gazan territorial waters in Rafah, in the southern part of the Gaza Strip, and near the coast northwest of Gaza city. Dozens of soldiers invaded, on Monday at dawn, several neighborhoods in the southern West Bank city of Hebron, and nearby towns, searched homes and installed roadblocks. The soldiers invaded several neighborhoods in Hebron city, before breaking into and searching homes, and interrogated many Palestinians while inspecting their ID cards. The soldiers also installed roadblocks at Hebron’s northern entrance, in Jouret Bahlas area, stopped and searched cars, and interrogated many Palestinians while inspecting their ID cards. In addition, the soldiers invaded Bani Neim, Beit Awwa, Nouba and Doura towns, in the Hebron district, before breaking into homes and violently searching them, causing excessive damage. Several roadblocks were also installed on main roads leading to the towns of Sa’ir and Halhoul. A Palestinian boy was injured after being shot by the Israeli occupation forces (IOF) on Sunday during the confrontations that broke out in Bizzariya village, northwest of Nablus city. The head of the village's council, Wael Hussein, told the PIC reporter that several Israeli patrols stormed the village in a provocative manner while students were leaving their schools, which led Palestinian boys to throw stones at the Israeli soldiers who responded by firing bullets and tear gas canisters. Hussein said that the IOF shooting resulted in injuring Osama Oudeh, 15, with a bullet in the abdomen, and he was transferred to a hospital in Tulkarem city for treatment. Several Palestinian protesters choked on teargas on Sunday evening after the Israeli occupation forces (IOF) aggressively dispersed a march in Qalandiya, north of Occupied Jerusalem, in solidarity with Palestinian hunger strikers in Israeli jails. A PIC news correspondent said the Israeli forces violently quelled a peaceful Palestinian march that kicked off from the Qalandiya military checkpoint, in northern Occupied Jerusalem, to support the Palestinian hunger strikers Jamal Abu al-Leil and Raed Mteir, who have been on an open-ended hunger strike for the fourth consecutive day to protest administrative detention, with neither charge nor trial. 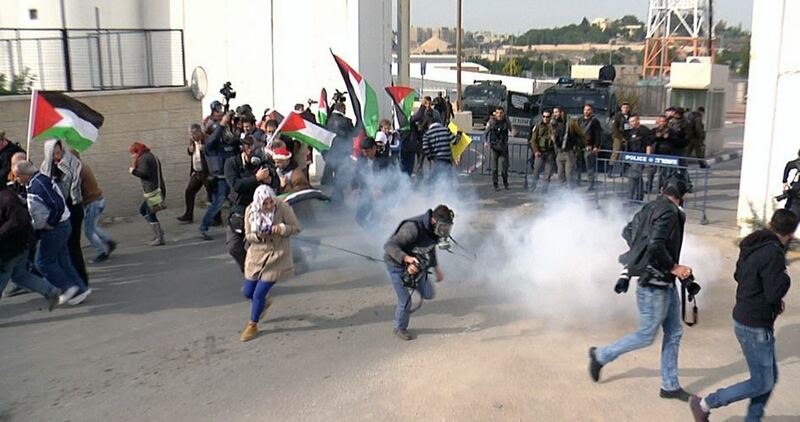 The occupation forces attacked the Palestinian marchers with heavy spates of teargas canisters, sparking clashes. The Israeli troops closed off the Qalandiya checkpoint and intensified their presence in the area. Palestinian detainees Abu al-Leil and Mteir have started their hunger strikes in protest at their renewed six-month sentence in the Israeli Negev jail. Israeli occupation forces are carrying out massive maneuvers in al-Khalil since last Monday, according to Israeli channel 7 on Saturday. These maneuvers are in preparation to foil any Palestinian attack such as vehicular-ramming, throwing Molotov Cocktails, and shooting, the channel added. Platoon 890, responsible for al-Khalil and Kiryat Arba, is participating in the military training. Two other platoons and a tracking and intelligence unit are also involved in the maneuvers. At least nine Palestinians were kidnapped by the Israeli occupation forces (IOF) from the West Bank and Jerusalem at daybreak Sunday. The Israeli occupation army claimed, in a statement, responsibility for the abduction of three Palestinians from Ramallah’s northeastern town of Silwad at predawn time on allegations of involvement in anti-occupation activities. A PIC news correspondent confirmed the piece of news, adding that the three Palestinians were kidnapped by the IOF from their own homes. 15-year-old child Amjad Hamed was reportedly among the three Silwad arrestees. 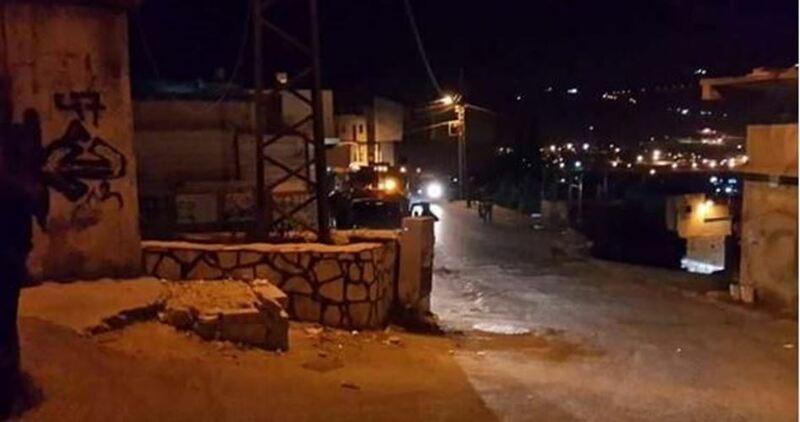 The Israeli occupation soldiers further stormed Beit Fajjar town, south of Bethlehem, and wreaked havoc on civilian homes, before they kidnapped four Palestinian youngsters. Meanwhile, Israeli soldiers and policemen broke into Jerusalem’s northeastern town of Hizma and kidnapped the Palestinian youngster Ali Askar. Others were summoned to questioning in the assault. Another Palestinian youth—Ihab Abu Dheim—was kidnapped by the Israeli forces from his family home in Jabal al-Mukabbir, in Occupied Jerusalem. The occupation troops also stormed Nablus’s Old City and Ourata village and rummaged into civilian homes and commercial shops. Several Palestinians had been subjected to exhaustive questioning in the process. According to eye-witnesses, the IOF broke into the Old City of Nablus in over 20 army jeeps via the western entrance to the city, triggering panic among civilians. At the same time, a number of Palestinians choked on teargas shortly after the Israeli forces stormed the northern occupied West Bank province of Qalqilya and attacked the anti-occupation protesters with randomly-shot spates of teargas grenades. The Palestinian protesters reportedly responded to the attack by hurling stones at the heavily-armed occupation patrols. 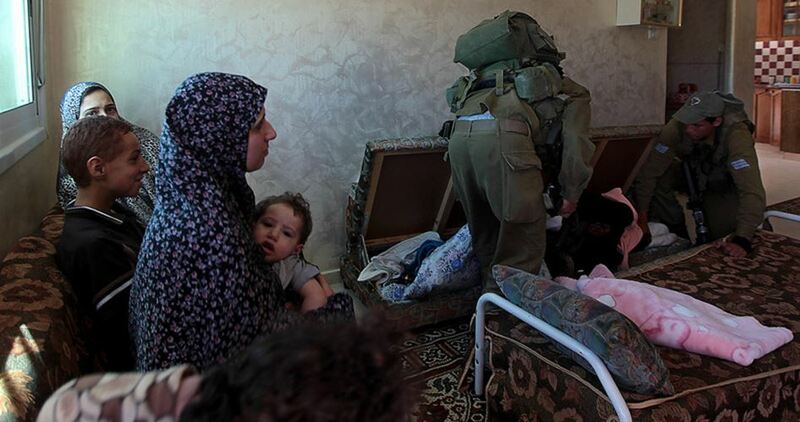 A round of home break-ins was carried out by the IOF all the way through the assault. The Israeli Occupation Forces (IOF) stormed at dawn Saturday Beit Rima town north of Ramallah and summoned two locals for investigation. Local sources affirmed that Israeli forces summoned the two youngsters Hamam Muqdad and Umar Said for investigation after breaking into their houses. Limited clashes broke out in the town following the pre-dawn raid. 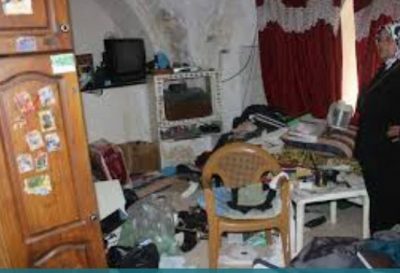 The Israeli occupation forces (IOF) stormed overnight Awarta town, southeast of Nablus in the West Bank, raided homes and harassed citizens in a campaign that lasted for about three hours. A local source said that Israeli soldiers entered the town after midnight Saturday and stayed there until dawn, patrolling streets, breaking into homes and checking IDs of citizens. Recently, the town has been exposed to repeated IOF raids, with no known reason. No arrests were reportedly made during those campaigns.